The Pacific Science for Health Literacy Pre-Feasibility project was developed by the Liggins Institute in response to a request from the New Zealand Ministry of Foreign Affairs and Trade (MFAT) to explore the potential for cultural adaptation of the LENScience Healthy Start to Life programmes in a Pacific setting. The LENScience Healthy Start to Life Project brings together the expertise of education, science, health and the community to enable a life-course approach to noncommunicable disease (NCD) risk reduction. Central to the programme is the development of science and health literacy in adolescents. In New Zealand the programme has resulted in sustained positive attitude, knowledge and behaviour change in participants. Additionally, 80% of participants became science and health communicators within their families, in some cases facilitating improved health behaviours in the home. In participating schools the programme facilitated positive change in science teaching practices which resulted in increased student engagement and attainment in science. The pre-feasibility project facilitated the development of partnerships between New Zealand, Tonga and the Cook Islands to engage in exploration of the potential for cultural adaption of the NZ based programmes. This process has identified shared issues relating to health and education across all three partner settings and a high level of comparability in potential for this type of inter-sectorial programme development. 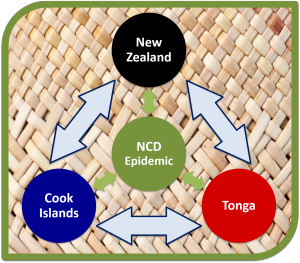 Cultural, social, health and economic variances between the partner nations were analysed to ascertain the potential for cultural adaptation of the New Zealand programme. The evidence suggests that the potential for successful adaptation of the New Zealand programme in partner Pacific nations is very high. An action plan has been developed to enable an intensive 3-year pilot programme. This programme will see the co-construction of locally adapted core learning resources in Tonga and the Cook Islands, alongside significant leadership development required to enable sustainability. Robust monitoring and evaluation of this pilot phase will ensure the potential for evidence-based decision making regarding extension of the pilot to national and possibly regional reach. Read more about the Pacific Science for Health Literacy Pre-Feasibility Study Report here.